Every now and then I dream about booking a flight to a distant destination, a not so touristic place where to find a genuine hospitality, where people still live at their own pace. I dream about filling my eyes with landscapes different from the usual postcards, sitting at a corner table in a quiet little village restaurant where the host can treat me as one of the locals. In the last few years we haven’t had much leisure time as to be able to enjoy such an experience, but we have learned to carve out a few days for us, when we usually try to enjoy what surrounds us with the same amazement of tourists and travelers who have been choosing for centuries Tuscany as their favourite destination. A few months ago David got in contact to invite us to spend a couple of days at Borgo Case Bardi, in one of the less touristic areas of Maremma, to enjoy his hospitality and to give us the chance to be tourists in our own region. We packed our car, touched wood hoping to find a good weather and headed down to Montorgiali, a small hamlet in Maremma. This is the reason that gave us the opportunity to write this small guide, based on those few days spent at Borgo Case Bardi, on the researches that lead us to write La Cucina dei Mercati in Toscana and on the timeless love for Maremma, where I used to spend most of my summer holidays as a child. Maremma is probably one of the wildest areas of Tuscany along with Lunigiana, with which it shares the same frontier feeling, the first being located in between Liguria and Emilia, the second close to Lazio. Maremma is the land of Tuscan cow-boys, the butteri, of buffaloes and cattles with half-moon shaped horns, as vividly depicted by the macchiaioli painters and Giovanni Fattori. It is a Tuscany that you would not expect, far from the stereotype of the Chianti hills covered with vineyards and olive groves, it is wilder and it has a frontier atmosphere which makes everything more exciting. Here you will experience that thrilling feeling of discovering a region for the first time, laying your eyes on a landscape of hills sloping toward the sea that has not already been immortalized by hundreds of tourists before you. Here you will feel at home, welcomed by the practical and straightforward hospitality of Maremma, you will visit dairies and sagre, the local food festivals, markets on the seafront and organic farms. Every season has its own advantages. Spring is the time of new beginnings, of the yawning countryside, of blossoming woods, of unripe green: windows are open to the new season, the rolling hills are tinted with delicate colours while a new excitement crosses the land. Summer is of course the time of long swims, sunsets on the sea, pine forests, little huts along the dusty roads with local fruit and vegetables, dinners under the stars with wild boar, as it is always a good time for a bowl of tasty pappardelle with a gamey sauce. Autumn is the time of sagre, woods, mushrooms, tortelli and chestnuts, when you happily retire towards the inland to appreciate a richer and comforting food. There’s no better moment to enjoy the natural thermal springs of Saturnia, they have a magnetic charm with hot water cascades and streams that invite you to unwind, lulled by the beneficial misty swirls. Winter is the low season, the reflective time of steaming soups like acquacotta. As I have said on several occasions, low season is often the best time to feel part of a place, to understand its dynamics, to make discoveries that will indelibly mark our memories. Case Bardi is immersed in the wildest Maremma hills, not far from Scansano. The village was built on the foundations of an ancient agricultural settlement. We spent two relaxing days here doing what we love the most: we searched for stories, Tommaso holding his camera while I was scribbling with pen on paper. We traced the Maremmana acquacotta from markets to dairies, we drove without a goal, surprised by a spring sunset, we shopped at the local market and cooked in our apartment, a home away from home for a few days. Here you can read more about the Borgo, where you will find everything from pool to gym, from an organic vegetable garden to the peace needed to feel at home in a corner of Maremma. One of our first destinations was the dairy farm Il Fiorino, just outside Roccalbegna, a medieval village on the slopes of Mount Amiata. The town deserves a visit for its stronghold, for its authentic and ancient charm and for its famous savoury aniseed flavoured biscuits, which are the ideal accompaniment to local cheeses and cold cuts (which are also dangerously addicting for their crumbly and rich texture). Right in the centre of Roccalbegna you can visit the cave of the dairy farm Il Fiorino. Here long wooden shelves are burdened by hundreds of cheese wheels, which find into the cave the natural microclimate for a long aging, thus giving to the pecorino unmistakable shades of taste and aromas. The dairy has almost a hundred years of history, located since the beginning in Roccalbegna. The farm is still family run, and it has won many important international awards, the quality of the cheese being recognized worldwide. One of the reasons can certainly be found in the milk they use, selected just from local farms. It comes from Roccalbegna, Saturnia, Semproniano, Scansano, Arcidosso, Cinigiano, Campagnatico and Grosseto. Drive to dairy farm soaking in the wild landscape, spot the sheep herds lazily grazing on the hills and book a guided tour or a cheese tasting, then stop at the farm shop and buy a stock of fresh and aged cheese to bring back home the flavour of local milk. We bought a raw milk fresh marzolino and a moving ricotta as big as a watermelon. Gat is a acronym for gruppo acquisto terreni, land purchase group, a unique reality in Maremma, an innovative agricultural project that brought to Scansano the permaculture and natural agriculture philosophy. They have a fruit orchard, a large vegetable garden, rows of beehives and fields of saffron. Drive for about ten minutes along a white winding road, you are not lost, as eventually you’ll find a farm set in a wild scenery, a place to buy high quality products during the good season, but also where to spend a few nights at the agriturismo and dine with what nature offers at any given moment of the year. Located in an isolated area, they are surrounded by wildness and natural forests, which allows a truly biological production. They have the ambition to make a difference with an energetically sustainable farm. If you love honey this is the place for you, as they also offer the opportunity to adopt a beehive, thus giving you enough honey to sweeten a whole year. Montorgiali, the closest village to Case Bardi, is a tiny fascinating hamlet. So small, yet so indelible in my memories for a restaurant which has won my heart at the first bite, La Locanda di Torquato, in Via del Corso, 10. The menu is based on extremely local produce, everything coming from the surrounding countryside, gardens and farms. A farmer will daily bring fresh eggs, chickens and rabbits on requests and foraged herbs. Needless to say, pasta is homemade. Paola, the gracious owner, will sit at your table and explain you the menu, without forgetting to mention origins, stories and traditions. This is a place where you can feel at home. Do not miss a memorable experience at I Pescatori, in Via Giacomo Leopardi, 9, a fishing cooperative where portions are rich, the fish is stunningly fresh and where you would dine directly on the lagoon, enjoying a jaw dropping sunset. Drive up to Ristoro La Sorgente on the Argentario peninsula, along the Strada provinciale 77 in Località Convento, an outdoor restaurant where you’ll have the chance to dine al fresco under the enormous maritime pine trees and where you can quench your hunger for hearty wild boar pappardelle and stews. The Cremeria Corradini in Corso della libertà 45 is your place to go for gelato. We discovered it a few years ago and since then it is firmly in my top 5 of gelati in Tuscany. My favourite flavours are champagne and pine nuts, crema, chianti wine and croccantino al rum, rum almond brittle. Be prepared to stand in a queue for a decent amount of time during the high season: the best idea is to grab your number and in the meantime enjoy a stroll around the town. Se vi va un buon caffè la Torrefazione Fiorella 2, in Via Celso Camaiori 7, è la risposta. Tostano il loro caffè e hanno la loro miscela che potrete provare lì o comprare da preparare a casa. Durante l’estate non potete perdere la loro granita al caffè. Il Bivio Trattoria da Fedio. Just 15 minutes drive from Castiglione della Pescaia, on the crossroad in between Grilli and Tirli, stop at Trattoria il Bivio for a family dinner of home made tortelli with spinach and ricotta and wild boar. Sometimes they also cook lumache in umido, snails from the farm located just across the road. Ristorante Artidoro, in Via de Barberi 12, under the ancient Grosseto walls. Ristorante L’uva e il malto, in Via Giuseppe Mazzini 165, for fish and meat, soups, game dishes. Go to Caffè Pasticceria Crem, in Piazza Esperanto 4, just in front of the market, for a remarkable breakfast, as here you’ll find a large selection of artisanal pastries. Rosso e Vino alla Dogana, in Via Graticciaia, Chiarone Scalo, for a Tuscan seafood meal to be enjoyed directly on the beach. I have to be frank. Maremma has been one of the most difficult areas in our researches for our latest book on food markets. Some markets were honestly a tad disappointing, others were not there on the days when they were supposed to be open, leaving us disheartened after a long drive. The markets we wrote about in the book, though, have abundantly made up for the disappointments as we came across generous people, interesting stories and fresh local produce. Here a small excerpt from the book which might be useful for your next trip to Maremma. Grosseto, the indoor market. To anyone I asked, the answer was always the same. The indoor market in Grosseto was the most representative example of the two souls of Maremma: on one side the forest, the hunters, the meat, the mushrooms, the stews and the soups, on the other the coast, the sea, the ripe fruit and vegetables and the fresh fish. It is a smaller market than the indoor markets in Livorno or Florence, but in its modesty it fully reflects the Maremma character. Where: Piazza dei Lavatoi, Grosseto. When: Monday to Saturday, but the best days to visit are Thursday and Saturday (abundant fresh fish!). Do not miss: fresh meat at Enzo e Emilio’s butcher shop, Fratelli Ciampoli’s fresh fish, Stefano and Loretta’s fruit and vegetables, at their colourful stall. Orbetello, the market on the seafront. The market stalls are aligned along the docks of the harbour, each one has the blue sea as a backdrop, the blinding light of the day reflecting on it. Fruit and vegetables are the freshest, coming from nearby fields and farms, they are ripened by the generous coastal climate. Go to the other side of the dock to buy fresh fish, most of it caught locally. See there the tiny moscardini, the elegant sea bream, the mostella, a local fish which thrives on the Mediterranean sea bottom, which you can boil to feed young children with its delicate meat. Where: Via Caravaggio and via Trento, Orbetello. Do not miss: Fratelli Canuzzi’s fish stall, where you can buy either the freshest fish or the already prepared and cooked fish, like their lip-smacking paper-cone of fried fish. Hurry up and eat it directly on the spot. The fruit and vegetable stands in Capalbio. When we arrived in the Capalbio area for our book research, the most picturesque, authentic and unmistakably genuine markets we found were the fruit and vegetable stands along the road, immutable in their charm, still exactly the same as in my childhood memories. With Gianni, the owner of one of these stands, I had one of the most surreal and incredible experiences of the whole book journey, including a run through a sun-drenched field to meet a woman who could give me local recipes. Where: along the roads of Maremma, both in the inland and on the coast. When: during the good season. Do not miss: local fruit and vegetables, basil bunches big as wedding bouquets. One more tip: if you want to enjoy a day at the seaside, go to Ultima Spiaggia, the Last Beach, the Seaside Resort in Chiarone Marina, with crystal clear water and soft sand. The beach stretches to the natural oasis of Lake Burano. On the blog you can find two different recipes for acquacotta, literally cooked water, a typical soup of the Maremma. It is another good example of peasant cooking along with many other recipes that have as main ingredients stale bread and some seasonal vegetables. It is a nomad dish that followed the people from the mountain Amiata who moved in winter to the plain of Maremma in search of work, bringing with them a few ingredients, among which there were always onions. The basic ingredients of acquacotta are indeed water, bread and onions. Here a traditional acquacotta, made with tomatoes, celery and onions, and here a soup made with foraged herbs, as I once ate in the late spring, while I was spending a weekend in a biodynamic farm in Maremma, and I was sitting with some friends at a long wooden table. She’d cooked the soup for hours on low flame with the foraged herbs of a dry late spring, then she’d broken the eggs of her chickens on top, letting them cook just enough time to have firm whites and runny yolks, thick as a syrup. How not to mention tortelli maremmani, spinach and ricotta tortelli, which I keep on calling ravioli, as my mum and grandma have been doing since I can remember. Grandma has always used spinach and nutmeg, they taste like Sunday, a table set with the best cutlery, dinner service, and linen napkins. A very local recipe is the one used to make sfratti, honey and walnut cookies which tell a unique chapter of the history of Maremma, that of the lively Jewish community in Pitigliano, a medieval village built on tuff as the nearby Sorano and Sovana, which was known by the Jews of Livorno as Little Jerusalem. Still baked and sold in the bakeries and pastry shops of the village, the sfratti have the shape of a stick, a filling of chopped walnuts, honey, spices and orange peel covered with a thin unleavened pastry dough. Emiko has recently published her second beautiful book, Acquacotta: Recipes and Stories from Tuscany’s Secret Silver Coast, where she tells about her life in Argentario, where she live for six months with her daughter Mariù and her husband Marco, head sommelier Il Pellicano. We visited them during those months and we had the chance to experience the Silver Coast of Maremma thanks to their company and insightful tips. We got lost in the countryside, we shopped at the market and we had delicious food, the freshest fish, creamy gelato, the sweetest ripe fruit. 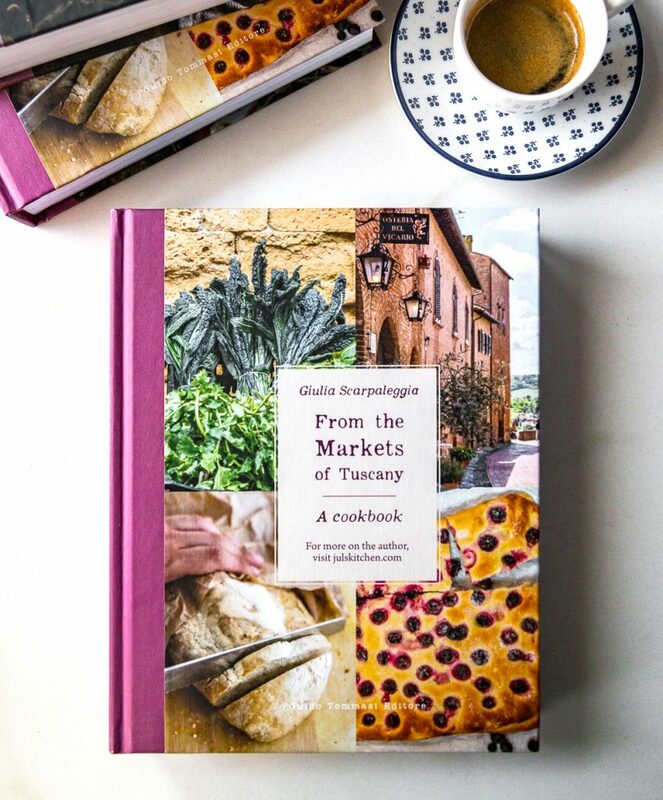 In the book there’s room for all these authentic experiences, for beautiful photos of dishes and landscapes, for local original recipes, for traditions, people, ingredients and places to rediscover. As in her first book, Florentine, Emiko has the ability to depict perfectly the authenticity of a region, in Florentine it was Florence, here it is the Argentario. She spent also some time at Il Baciarino, where they photographed the recipes of the book, a charming agriturismo in Vetulonia with a breathtaking view of the Maremma hills that slope down to the sea. When we had the opportunity to experience a long weekend there, in December, we were not only astonished by the location and the generous kindness of Clelia and Andrea, but also by the fish-based lunch that Andrea, a former fisherman in Castiglione della Pescaia, prepared for us all. For me, a person who would happily live on raw fish, that lunch is stable in the top 5 of the best culinary experiences of my life. In Acquacotta you can also find many tips on that corner of Maremma and, obviously, more than one recipe for acquacotta, one even with fish. You can read more about Acquacotta here, where you can enjoy Emiko’s beautiful photos and words. Here you can read Emiko‘s food guide on Porto Ercole. On Katja’s blog you can find endless tips on what to do in maremma and also an useful map. On La Patata in Giacchetta blog you can find another interesting post (in Italian) on where to eat and drink in Maremma. Sono Alessia, seguo il tuo blog con passione perché mi immerge in un sogno che e’ più o meno la fuga dalla città che vorrei fare. Bellissima la guida sulla maremma, la frequento fin da bambina e hai ragione e’ wild perché per fortuna nonostante il turismo e’ riuscita a rimanere fedele a se stessa. Ti volevo segnalare la “antica locanda sant’anna” a monte massi , il suo sito nn rende giustizia ma se ti fa piacere trovi il link con alcune foto e la sua storia sul mio blog. http://www.lechefclochard.it/la-dove-mi-ricorda-natale-antica-locanda-santanna/Grazie e complimenti ! sThe next time you come back to Maremma, come and visit us in Saturnia, here we have the most beautiful natural spas in the world. The Maremma is very large. Congratulations on the blog and a hug from the family blog Famiglia in Fuga!